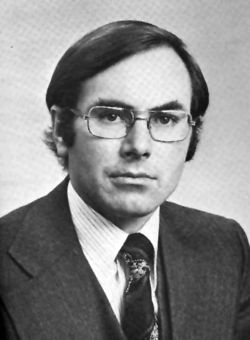 When I arrived in Australia nearly 32 year ago John Howard was a minister in the then Fraser government. Fraser had just taken over in a constitutional crisis that is still controversial from the then Whitlam labor government. A year later he had been promoted to the number two spot and was commonly referred to as ‘the boy treasurer’. Then, as now, he was just two years older than myself. Yesterday after nearly 12 years as our prime minister he was soundly beaten by the Labor Party’s Kevin Rudd and even lost his own parliamentary seat of Bennelong. 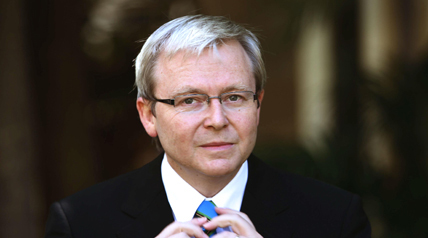 Labor’s claim that it was ‘time for a change’ carried a great deal of weight and Rudd steadily and carefully made sure he did not blow his natural advantage over a party and Prime Minister too long in power. Full credit to Rudd. He was up against a skillful politician who would have fully capitalized on any mistakes. Rudd is a center left politician. What I think of as that part of the left that is struggling to reinvent itself after the failure of state ownership Marxism and the strong challenges mounted against big government social democracy in its various forms. The ALP (Australian Labor Party) accomplished labor market reform under the Hawke and Keating governments in the eighties and nineties – something that France is just starting to attempt under Sarkozy. In my view, this process of reinvention has happened differently in Australia than it did in the US or the UK. Thatcher and then Reagan strongly challenged the center left consensus that had dominated since WWII and the left responded with a move to the center. Bill Clinton and Tony Blair made what I see as a flawed but genuine attempts to reform the left in response to a genuinely reinvented conservatism. But in Australia, the ALP accomplished by negotiations with the unions what Thatcher and Reagan accomplished by confrontation. They demonstrated that the left could co-opt effective elements of the new conservatism and make them work within their own ethos. As a result, I would say that in Australia it is easier to occupy the center for both parties than it is in the US and that, unlike the UK, we have two credible, healthy political parties. Therefore, I look forward to seeing if Rudd can advance the cause of reinventing the left with some fresh thinking. In the broader context of world politics I see this Australian election as similar to those in France and Germany. The West doesn’t know yet what to do in the face of the challenge from Muslim fanaticism. It hasn’t even properly gotten through the tectonic shift caused by the failure of Communism and a resurgent right. So Western electorates are tacking right and left in a narrow range. I think that will be the pattern in Western politics until the Islamists either force our hand or cease to be a force to be reckoned with.